Moms are very important to us at the Villa Lucia! In fact our restaurant is named after a mom! 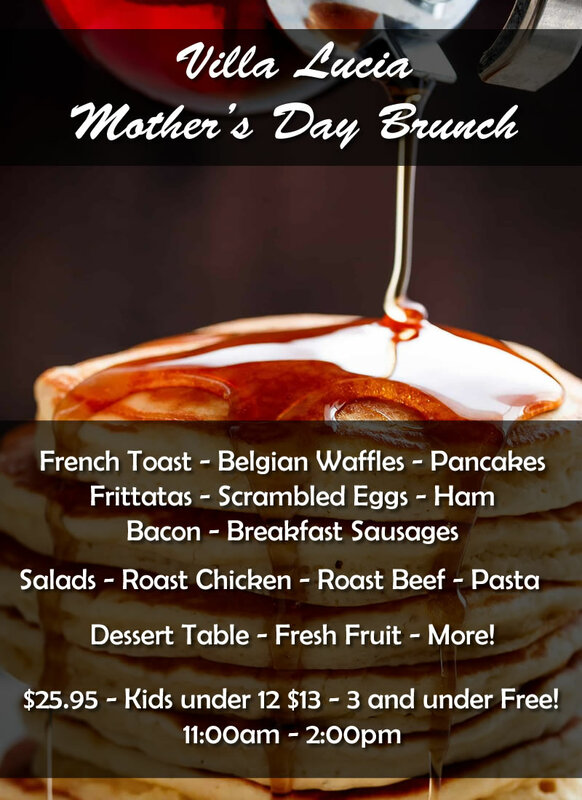 Join us on Sunday, May 12 and celebrate her special day for our popular Mother’s Day Brunch.